Currency and risk management solutions company Kantox has closed a venture debt financing deal, reports Julie Muhn at Finovate (Banking Technology‘s sister company). Silicon Valley Bank (SVB) supplied an undisclosed amount of funding to the UK-based company. Kantox notes partnerships between banks and fintechs are on the rise. “Banks are approaching fintechs because their technology is attractive to them,” the company says. Philippe Gelis, CEO and co-founder of Kantox, says the agreement with SVB is “the first step in the process of business and product partnership projects with financial institutions which have approached us interested in our technology”. Kantox is currently negotiating partnerships with banks in the UK and across Europe, anticipating many deals will close in 2018. According to the company, its 2,000 clients have leveraged its foreign exchange (FX) management solutions to trade more than $5 billion in 20 countries. In November 2017, Kantox boosted its currency portfolio from 35 to 92, adding markets in Latin America and Asia. 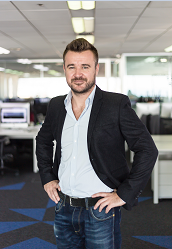 Founded in 2011, Kantox has raised $27 million to date. The new branch will be based in Frankfurt. Sherpa Foundry and Silicon Valley Bank (SVB) have joined forces to launch Silicon Foundry, a membership-based corporate innovation platform. The bank has received a Canadian licence and opened an office in Toronto.